Danchuk Viktor Dmytrovych – Dean of the faculty of transport and information technologies of National Transport University. Doctor of Science in Physics and Mathematics, Professor, Full Member of the Construction Academy of Ukraine, Academician of the Transport Academy of Ukraine. 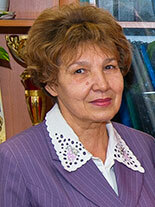 Shyryayeva Svitlana Volodymyrivna, Associate Professor of the Department of Transport Technologies, Candidate of Science in Engineering. 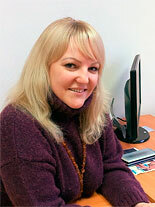 Hlushakova Olha Volodymyrivna, Associate Professor of the Department of Higher Mathematics, Candidate of Science in Physics and Mathematics. The faculty of transport and information technologies is an educational, scientific, administrative and structural division of National Transport University. The faculty’s specialties are: Transport Technologies (Motor Transport), Computer Sciences and Information Technologies, Software Engineering, Information, Library and Information Science. Road Traffic Engineering and Control. Computer Ecological and Economic Monitoring. The faculty has 130 highly qualified scientific and academic staff and a current student population of approximately 1350 full-time students. The faculty trains specialists in accordance with education-qualification levels: Bachelor’s Degree, Specialist’s Degree, Master’s Degree. Department of Electronics and Computing Equipment. 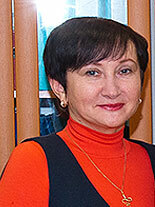 The Acting Head of the Department is Kryvenko Viktor Ivanovych, Associate Professor, Candidate of Science in Engineering. Department of Information Systems and Technologies. The Head of the department is Gavrylenko Valeriy Volodymyrovych, Doctor of Science in Physics and Mathematics, Professor, Academician of the Transport Academy of Ukraine, Academician of the Engineering Academy of Ukraine, Member of the National Committee of Ukraine on Theoretical and Applied Mechanics, Holder of the excellence in Education of Ukraine Lapel Badge. The department graduates Bachelors in Computer Sciences and Information Technologies, Software Engineering, Information, Library and Information Science; Masters in Information Control Systems and Technologies, Artificial Intelligence Systems, Computer Ecological and Economic Monitoring. Department of Transport Technologies. 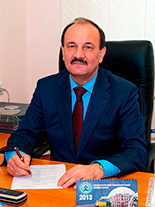 The Head of the Department – Khabutdinov Ramazan Abdulayovych, Professor, Doctor of Science in Engineering, a holder of the badge for Scientific Achievement. His key research interest is energy saving automotive technology systems in road transportation. The department trains students in Transportation and Transport Management (Road Transport) with specialization in Transportation and Road Transport Management. Department of Transport Systems and Road Safety. The Head of the Department is Polishchuk Volodymyr Petrovych, Doctor of Science in Engineering, Professor, Academician of the Transport Academy of Ukraine, Honored Worker of Road Transport of Ukraine, Honored Road Builder of Ukraine, Excellence in Education of Ukraine Lapel Badge holder. The department trains students in Road Traffic Engineering and Control; Transport Systems, with specializations in City Transport Systems, Freight Transport Systems and Logistics Management. Department of International Road Transportation and Customs Control. The Head of the Department is Prokudin Georgiy Semenovich, Professor, Doctor of Sciences in Engineering, Academician (Full Member of Ukrainian Academy of Economic Cybernetics), a holder of the badge for Scientific Achievement. The department trains students in Transportation and Transport Management (Road Transport), with specializations in International Road Transportation, Customs Control on Transport. Department of Physics. The Head of the Department is Gololobov Yuriy Pavlovych, Doctor of Science in Physics and Mathematics, Professor, Soros Associate Professor. Department of Mathematics. The Head of the Department is Gulyayev Valeriy Ivanovych, Doctor of Science in Engineering, Professor, Ukrainian State Prize Laureate in the field of science and technology, Honored Worker of Science and Technology of Ukraine. Research is ongoing, and scientific schools are functioning, with their high-priority research areas including general system theory and mathematical simulation of the development systems; the development of scientific principles of quasi intellectual information network systems in virtual education and transport; the development of the theory of transport processes and systems; the development of the general theory of transport accumulation systems; the development of the methodological principles of the road traffic control; modeling of the automatic transport management systems; the development of the computer engineering foundations of road building with the prognostic properties; modeling of optimization problems and mathematical programming and the development of technical principles; hydromechanics of underground water; oscillatory processes of the surfaces during rotation; the introduction of modern computer technologies in economic and engineering calculations; modern computer technologies in navigation and transport management; the effective container transport system for the intercity road and mixed transportations; the rational route systems; the development and introduction of resource-saving technologies; the improvement of the road traffic engineering; the improvement of city transport systems; the investigation into the psychological and physiological characteristics of driver behavior; mathematical models and analysis of structural and dynamical properties, interaction mechanisms in disordered condensed materials; physics of phase structural transformation in ferroelectric crystals at different temperatures. The faculty develops creative and professional contacts with education and research institutions in Ukraine, the CIS countries, Poland, France. Strengthened are the international relations with the universities of Germany, Israel, the USA and other countries. Active cooperation with the automobile and road industry also takes place. Cooperation agreements with Service of International Road Carriage (SMAP), Association of International Road Carriers of Ukraine (AsMAP UA), Road Police of Ukraine (DAI) and with corporations like «UkrAVTO», «AIS», and «NIKO» have been approved and signed. The faculty takes an active part in international scientific and educational collaboration in the framework of international projects. Specifically, the faculty was a participant in Project TEMPUS TACIS VETLOG «Network Development of Management Training Courses in the Field of Transport and Logistics in Ukraine». More information on these specialties can be found on the Web-page University Specialties.